Battlefield 1 is the kind of game that doesn’t need any real introduction. 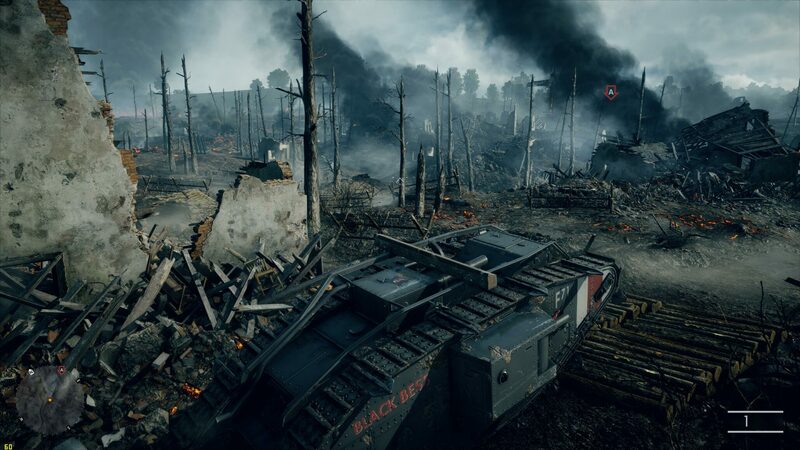 The latest installment of the Battlefield series is as beautiful as anyone would expect and comes right out of the gate with full DX11 and DX12. We would have been done with this performance review sooner as we did have the game available to us prior to the full public launch of the game had it not been for the games ‘system change’ DRM. 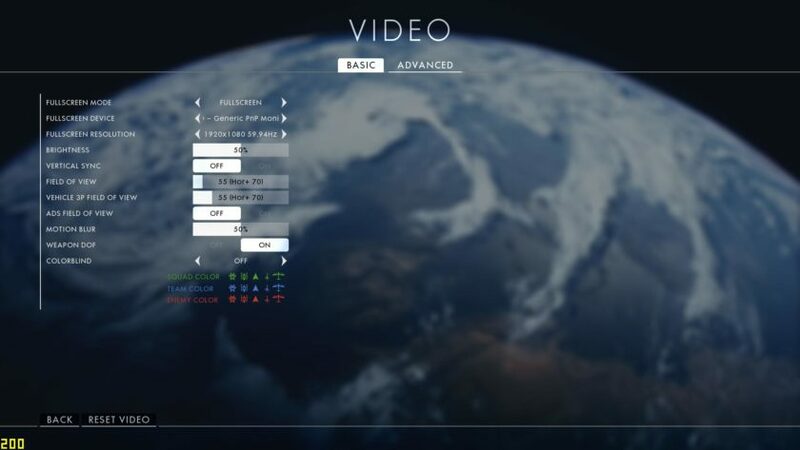 Basically, like with Battlefield: Hardline, after 5 hardware changes they game locks you out for a 24-hour period without the ability for EA to unlock the game for us. This resulted in at least three days of testing to complete this test, but a few retests were in order, so our grand total came to four days of testing in order to finish this. Because of this we only have Graphics Cards tests completed. 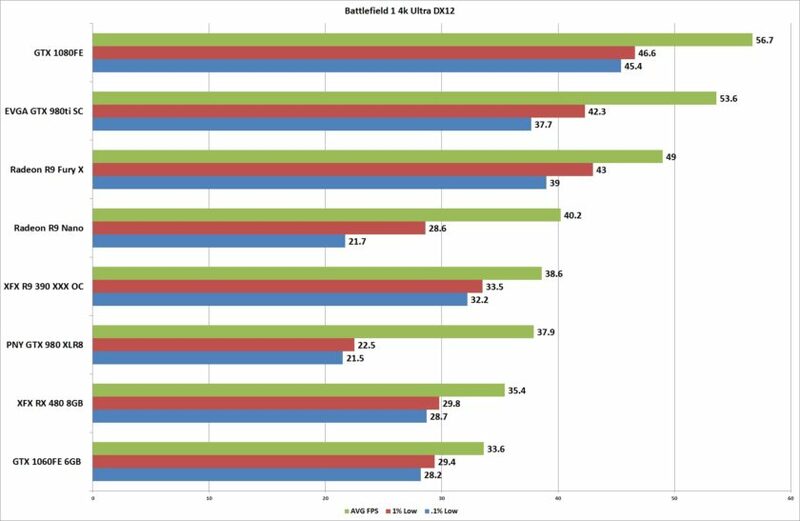 Our friends at CustomePCReview conducted additional CPU scaling and Crossfire testing. 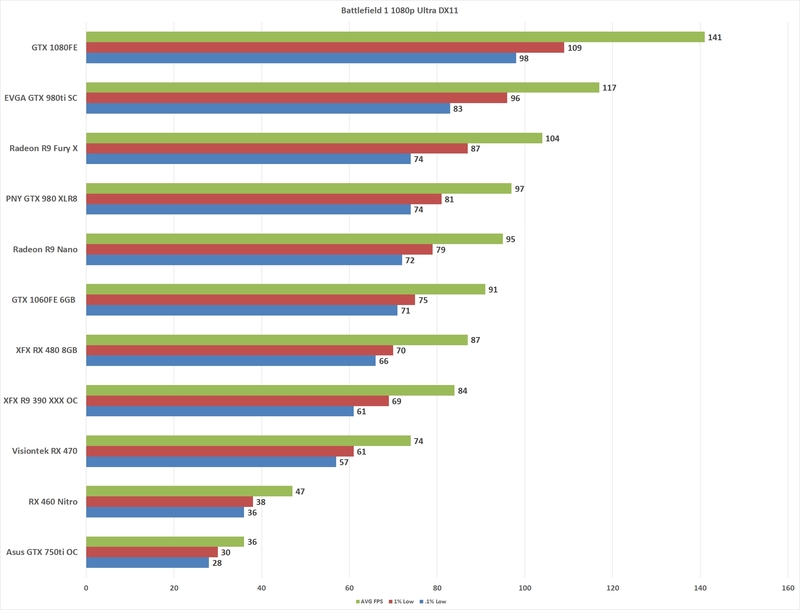 We tested all of the graphics cards on our X99 Broadwell-E based test sytem. We took our results from the first full minute of the “Over the top” campaign mission, since the first half is on tracks and the second is easily repeatable. 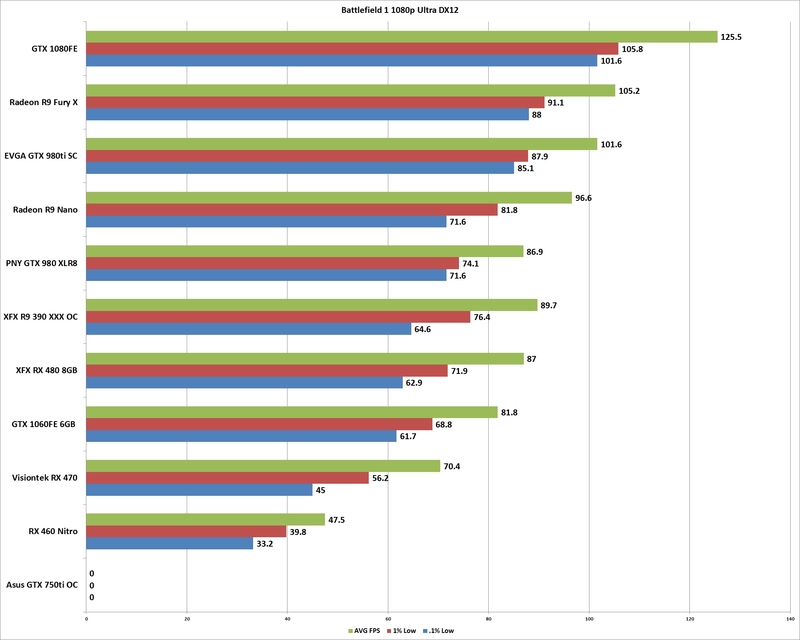 For DX11 we utilized FRAPS for capturing performance during the run. For our DX12 testing I wanted to take a moment and thank the guy s at CustomPCReview again for helping develop a tool that will now allow us to deliver the same level of results for DX12 as we have with DX11. 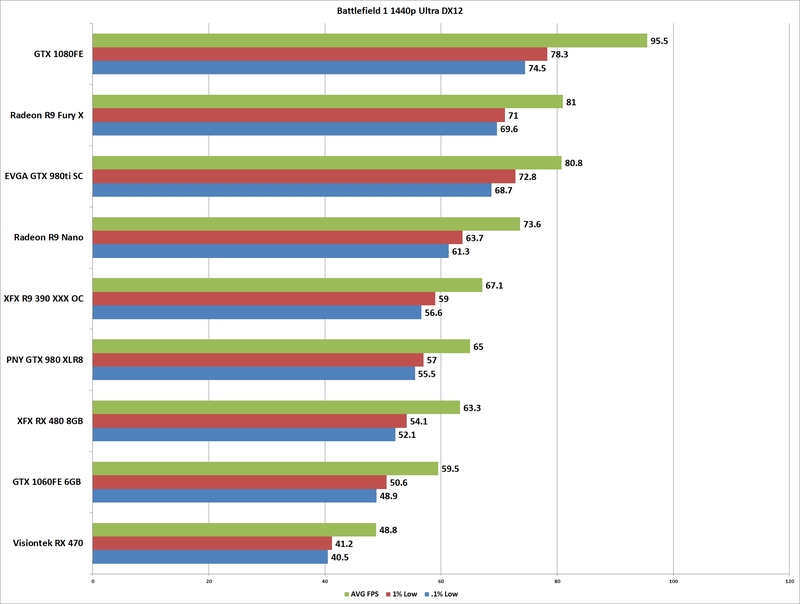 DX12 tests were conducted with PresentMon for the same length of time as our DX11 run. 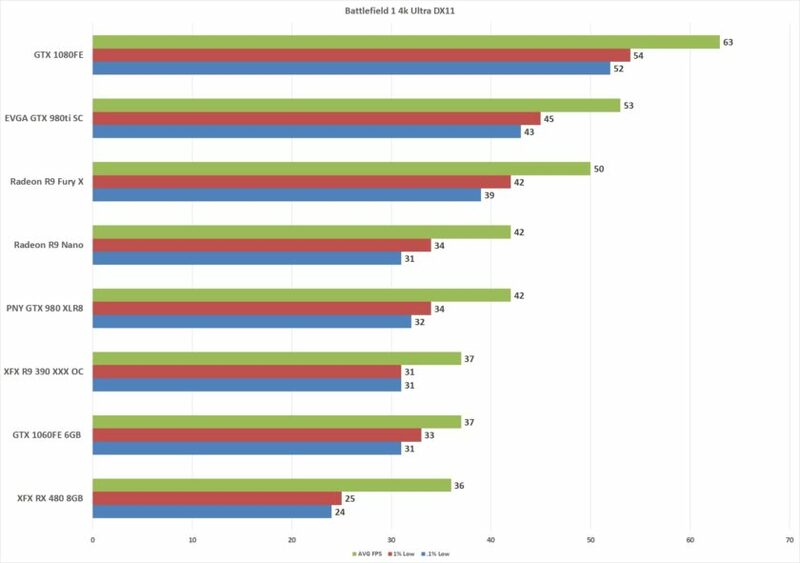 Once the runs are all completed three times the averages for Average FPS, 1% low, and .1% low are taken and plotted. We use 1% and .1% lows rather than absolute minimum as the absolute minimum typically represents an outlier frame and doesn’t typically represent actual gameplay. 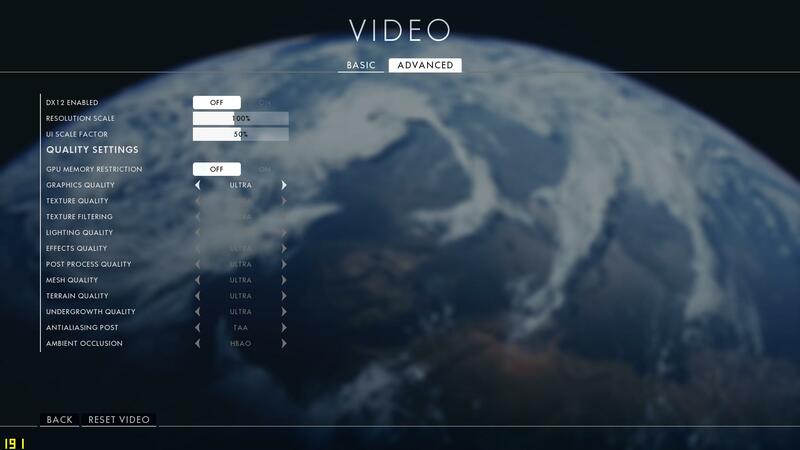 Just like previous games running on the Frostbite Engine Battlefield 1 is running spectacularly, but a day one option for API selection makes things even better. If your card runs faster on one API over the other it’s a no brainer. 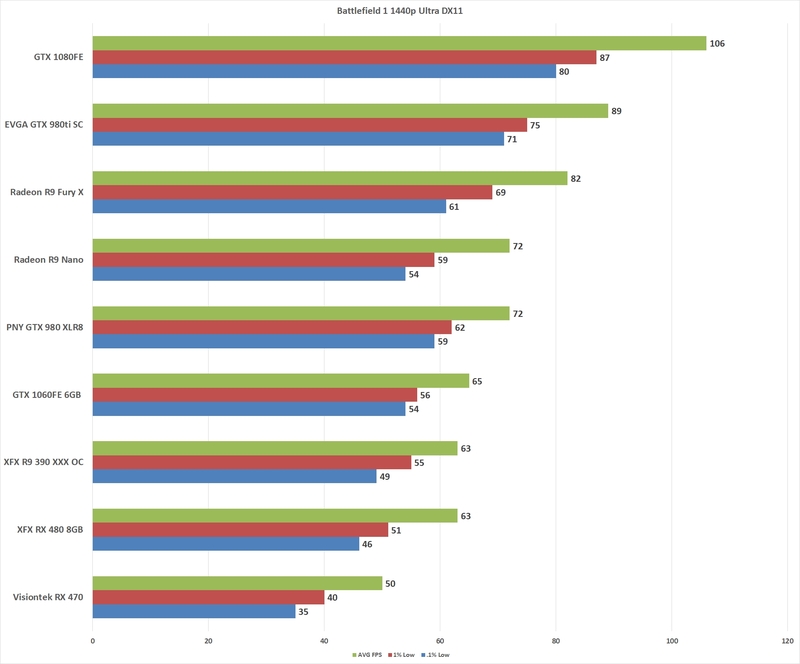 Radeon is seeing the benefits of DX12 with smoother frames where GeForce is taking a bit of a hit overall, however. But, isn’t that the beauty of having an API selection? Either way, everyone who picks this game up should have no trouble running it well enough to enjoy it fully, just don’t go switching hardware too much in a 24-48 hours period.